2 SAND DOLLAR Easy Beach acces and Gulf views from this 2nd row home in popular Holiday subdivision. 3 Bedroom, sleeps 12. 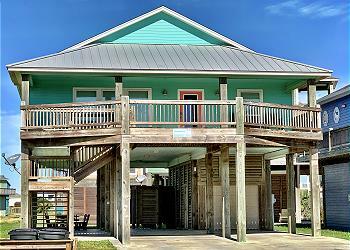 Charming 3 Bedroom, Close to everything, easy beach access, wifi, outdoor bar area - all at a great price! 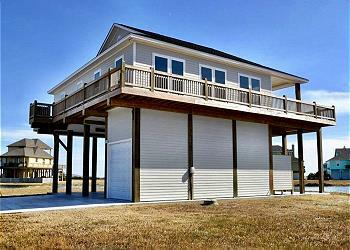 Beachfront - 5 Bedroom - 5 Bathroom - WIFI - Cargo Lift - Sleeps 32! 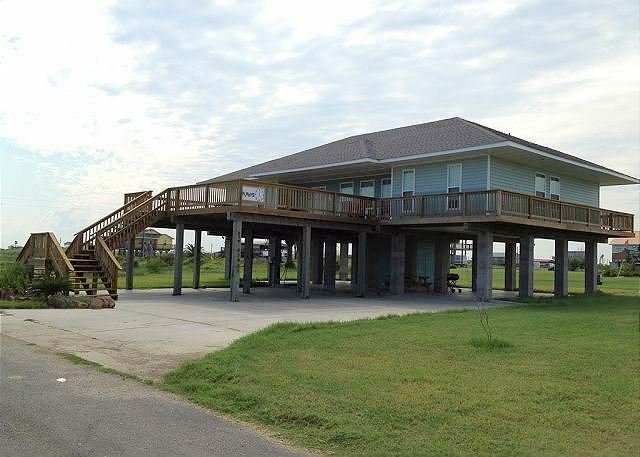 4 Bedroom, 2 Bath, Sleeps 14, Gulv View!! Special- Rent 1 week and get the next week free. September to May 12th. Excellent views in centrally located gated subdivision - 3 Bedroom, Sleeps 8. 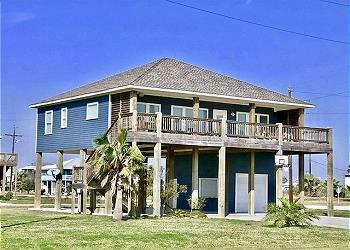 Affordable 3 bedroom in the heart of Crystal Beach with Ocean View! 4 Bedrooms, Sleeps 17, 2 living areas, double decks, so much more! Vacation Rental Map - See location of all our rental homes. VACATIONING WITH COBB REAL ESTATE feels like your dream destination is well within reach. Whether you're staying a few days, a week, or longer, our dedicated rental staff is ready to help you find a picture-perfect beach home matched with unparalleled service. Family owned and operated for over three decades. Call COBB REAL ESTATE to book your next stay! Reservations: Cobb Real Estate offers 24 hour online booking to better serve you with all your vacation rental needs and be sure to download our Mobile App! Please feel free to give us a call if you have any questions. Over the phone, in person, or on the web, we make it easy for you to make reservations and plan the perfect get away. Please see our Rental Policies and Vacation Planning tabs for important information. Cobb Real Estate Office: Stop by and visit us at 2290 Hwy 87. Our trained professionals are ready to assist you with all of your rental, construction and real estate needs. Every effort has been made to insure the accuracy of this information; however, it is not guaranteed. It is subject to errors, omissions, change of price, change or withdrawal of house contents and/or features without notice.